Kingsland Karnival Street Food Night at Kingsland Village (New North Road), 7-9pm, FREE. Come along to this exciting festival in one of Auckland's coolest areas. There will be lots of international street food stalls as well as giveaways and competitions. 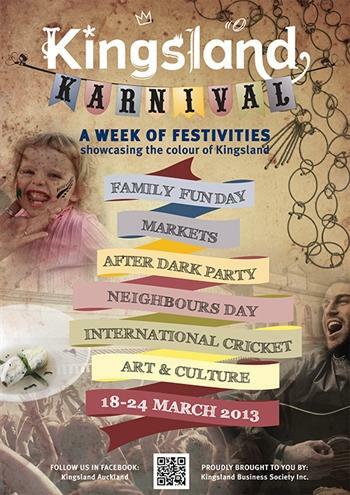 For more information, go to http://www.kingslandnz.com/news-articles/articletype/articleview/articleid/55/kingsland-karnival-18-24-mar. There are more great events happening with this festival over the week, so be sure to have a look. Summer Zoo Lates at Auckland Zoo, 4:15-7:30pm, $15 entry. This is your last chance this summer to get to Auckland Zoo's special late night offer. The Zoo will be open extra late, until 7:30pm and entry will cost only $15 (down from $26). There will also be a band called Latin Silk playing at the rotunda. For more information, go to http://www.eventfinder.co.nz/2013/summer-zoo-lates/auckland/western-springs. 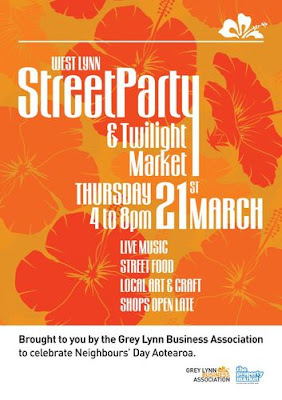 West Lynn Street Party and Twilight Market at 350-600 Richmond Road, 4-8pm, FREE. Another cool festival in a trendy Auckland suburb with music, street food, and crafts. For more information go to http://www.eventfinder.co.nz/2013/west-lynn-street-party-twilight-market/auckland. Between the Lines at Aotea Centre (50 Mayoral Drive), 10am-3pm, FREE. Learn more about the world famous Maori tattoo, the moko. You will have the chance to watch world famous tattooists actually tattoo mokos, as well as listen to them speak about it and ask questions. This will also be running on Saturday and Sunday. For more information, go to http://www.eventfinder.co.nz/2013/between-the-lines/auckland. 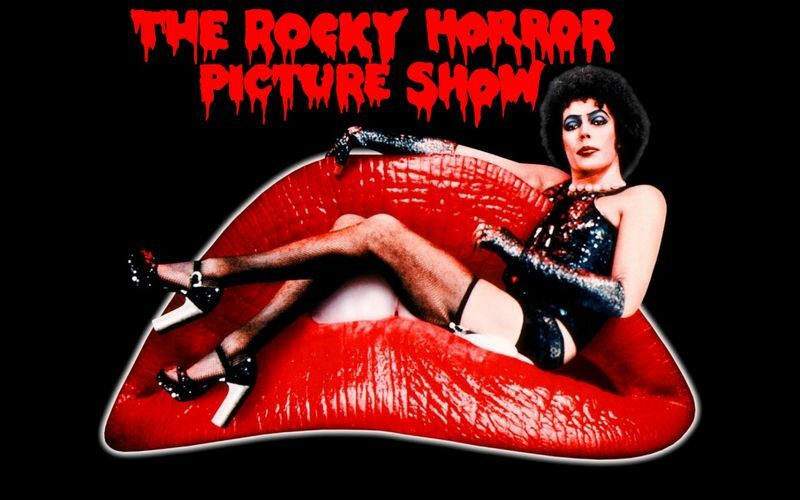 The Rocky Horror Picture Show at Grey Lynn Park, 8-11pm, FREE. Watch this famous film in a lovely Auckland Park. Be sure to bring a blanket! For more information go to http://www.eventfinder.co.nz/2013/movies-in-parks-the-rocky-horror-picture-show/auckland/grey-lynn. The New Zealand Beer Festival at The Cloud, 12:30-9:30pm, tickets from $39. Try some of New Zealand's best beers and enjoy live music, as well as a wide range of food stalls. If you like beer, this is not to be missed! For more information go to https://www.beerfestival.co.nz/. Love Vintage and Retro Market at the Trinity Methodist Church (400 New North Road), 12-5pm, FREE. 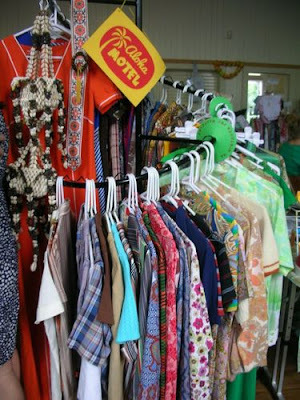 Make sure you don't miss out on one of Auckland's biggest vintage and retro markets. There will be lovely vintage clothes, art and yummy food. For more information go to http://www.eventfinder.co.nz/2013/love-vintage-retro-market/auckland/kingsland. Korean Day at Westlake Boy's High School (30 Forrest Hill Rd), 10am-6pm, FREE. Celebrate Korean culture with Korean food, dance, and traditional performances. For more information go to http://www.aucklandcouncil.govt.nz/EN/newseventsculture/events/Events/Pages/2013koreanday.aspx. North Shore Concert Band at the Cornwall Park band rotunda, 1-3pm, FREE. Enjoy some great live music in one of Auckland's most beautiful and famous parks. After the concert you can take the time to explore the park and maybe even climb One Tree Hill! 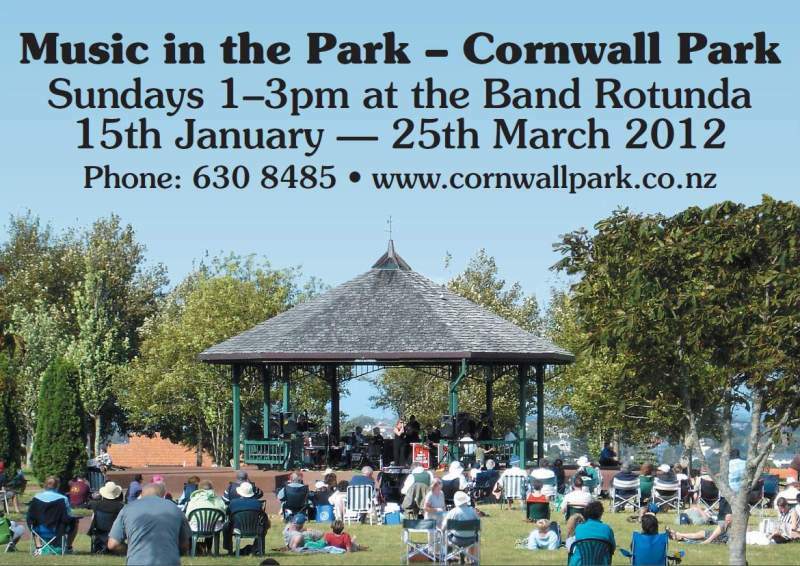 For more information, go to http://www.eventfinder.co.nz/2013/summer-music-at-cornwall-park/auckland/epsom.